Applied Technologies, Inc. (ATI) promoted William A. Hein to manage its new Civil, Architectural, Structural (CAS) department beginning October 1, 2018. His major tasks will include business development and management of the CAS disciplines. Hein received this promotion due to his impressive background, numerous successful projects, and passion for quality work. He possesses a B.S. degree in Civil Engineering from the University of Wisconsin – Platteville and is a registered Professional Engineer and Professional Land Surveyor in the State of Wisconsin. 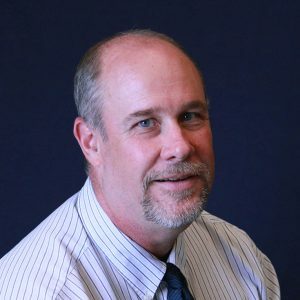 He joined the ATI team six years ago as a project manager with 31 years of experience in municipal engineering and all aspects of residential and commercial land development, including government/agency coordination and permitting and management of projects from planning through construction. Additionally, he gained significant experience in personnel management and marketing when he ran his own consulting firm. “I am thrilled to see Will take over the CAS department. He has proven himself to be an extraordinary leader and I am excited to see the direction he takes this new department,” said Jim Smith, ATI’s President. With his exceptional background and wealth of knowledge, there will certainly be more great things to come from this department. “I am excited to begin building our CAS service line and look forward to working with existing staff to better market our services,” said Hein.